1941 Chris Craft Double Cabin Enclosed Cruiser Beautiful Brightwork, Repowered with new Vetus Diesels. 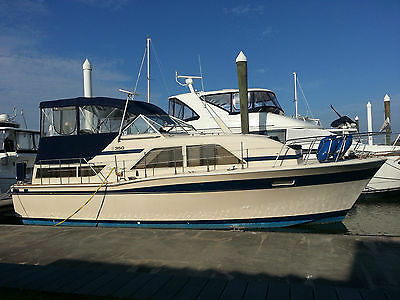 1941 Chris Craft 34 Double Cabin Enclosed Cruiser w/t 33hp Vetus Deisels. She will cruise at 7mph and only burns a gallon an hour. 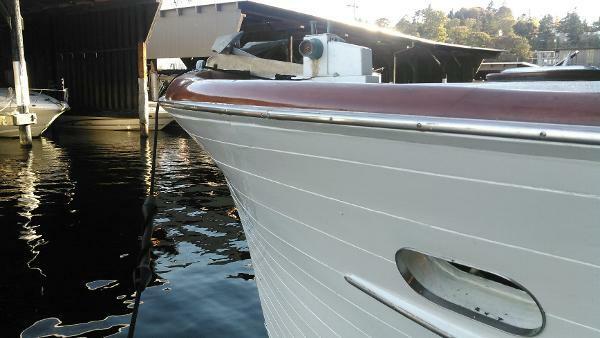 This 34 DC has beautiful mahogany throughout the boat that is in geat condition. The bottom and hardtop has been fiberglassed and painted. The roomy aft cabin enters from the aft deck and features a full size berth and plenty of privacy. The pilot house is beautifully done with aft bench seat and occasional chair and helm seat. All the salon windows roll down for great air circulation. Forward there is sleeping for two in the upper and lower berth. Also down from the salon is the head compartment with a composting marine toilet. Opposite of the head is the galley with refrigerator. A beautiful boat with new power that must be seen. Call today. 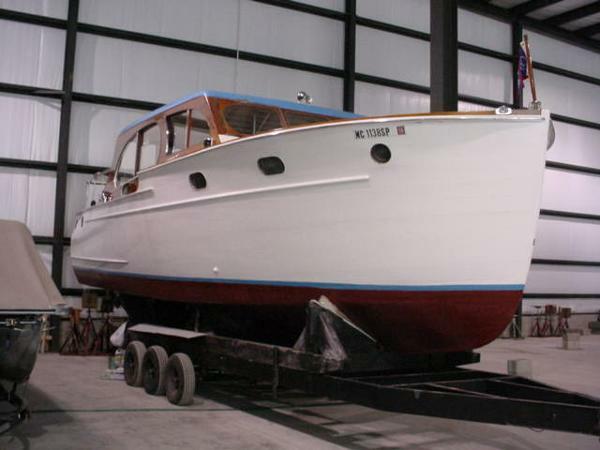 1951 Chris Craft Classic Double Cabin This is a 49' Chris Craft built of wood by Chris Craft Corporation in Algonac MichiganLOA: 50' / Beam: 12' / Disp: 24,000 lbs. Powered by twin gas engines Electronics include: GPS, VHF, Depthsounder, Plotter, Battery Charger, and a Compass. 1974 1974 Chris Craft Double Cabin This Chris Craft are extremely popular in the size range due to the excellent hull design, performance, and the extremely spacious living accommodations. Forward cabin sleeps two in bunks, Master Suit sleeps two in twin beds. Fly bridge is fully enclosed and plenty of room for family and friends to see the view in any direction. The bridge upholstery is all new in 2007. The carpet was replaced in 2012. The galley has tons of space with an open lay out including oven electric stove, microwave, refrigerator, and sink. 1941 Chris Craft1 Double Cabin Enclosed Cruiser Beautiful Brightwork, Repowered with new Vetus Diesels. 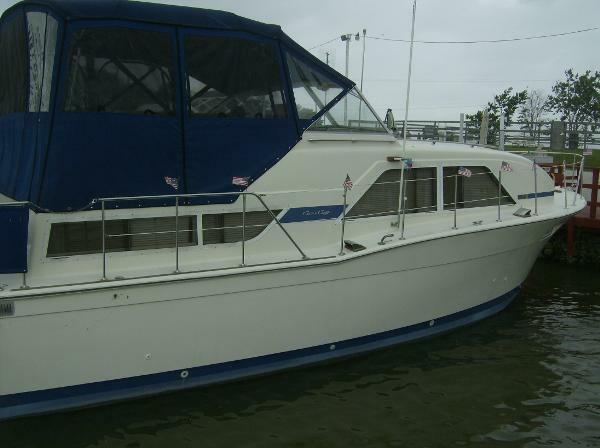 1941 Chris Craft 34 Double Cabin Enclosed Cruiser w/t 33hp Vetus Deisels. She will cruise at 7mph and only burns a gallon an hour. 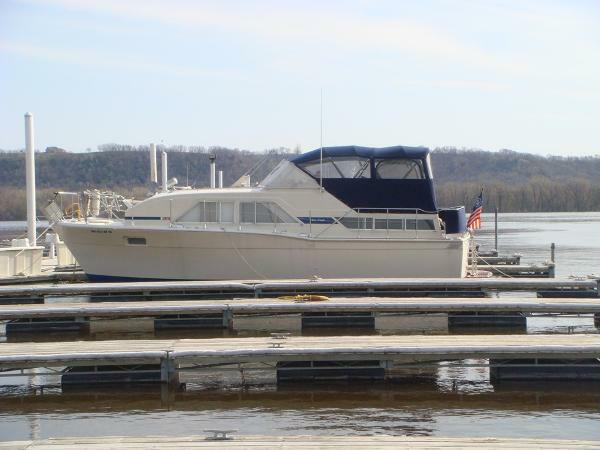 This 34 DC has beautiful mahogany throughout the boat that is in geat condition. The bottom and hardtop has been fiberglassed and painted. The roomy aft cabin enters from the aft deck and features a full size berth and plenty of privacy. The pilot house is beautifully done with aft bench seat and occasional chair and helm seat. All the salon windows roll down for great air circulation. Forward there is sleeping for two in the upper and lower berth. Also down from the salon is the head compartment with a composting marine toilet. Opposite of the head is the galley with refrigerator. A beautiful boat with new power that must be seen. Call today. 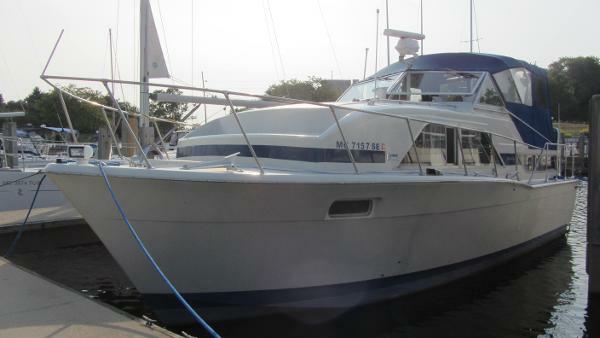 1974 Chris Craft Double Cabin Popular double-cabin cruiser was among best selling Chris Craft models of her era. 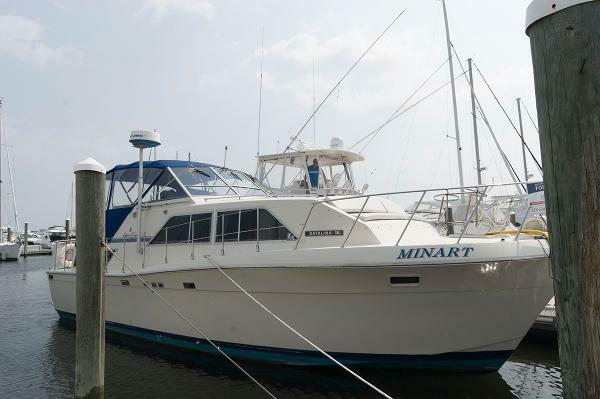 Expansive interior with over and under bunks forward, all with main deck galley, large aft cabin with twin berths with a private door to the main head with a fiberglass shower. Combined helm/aft deck area keeps skipper close to guests. Molded foredeck seating, wide side decks, swim platform, large engine room. Whether it's a second home on the water, or where you spend most of your time, the 35 is ideally suited to meet your needs in comfort & style while cruising or living aboard. 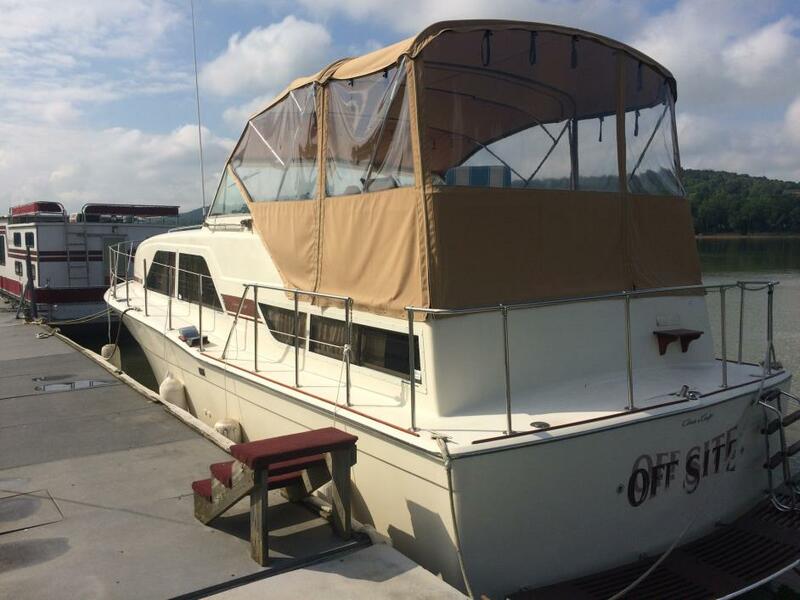 1977 Chris-Craft 35 Double Cabin Just Reduced Ready for New Home! The double cabin series of Chris-Craft defined the live aboard profile. The space is used extremely well, and she has a classic style. This mature lady has been lovingly maintained and has been upgraded with care. The aft stateroom has been converted to a large berth with a wall closet system. Look carefully to see if you can find where Chris-Craft ended and the customizer began. She is well worth the trip! Why not? Come take a look!